Reliance Jio 4G sim is finally available for 3 leading manufacturers in the smartphone industry. The SIM released last week for the leading handset brands including Micromax and YU but the week come with good news for Coolpad, Oneplus and Xiaomi users around the world. Xiaomi is currently the most loved brand by Indian customers, and Jio 4G sim was not available for the leading handset from the very beginning. Mukesh Ambani had announced earlier this week to roll out the sim distribution process for all leading manufacturers from 5th of September onwards. However, it was expected that no need of code will be required for the forthcoming week, but that won’t happen. One with a 4G Compatible handset can Enjoy unlimited HD Voice, Video Calls, SMS, High-Speed Data and access to Jio Apps at no cost till 31st of December. On the other hand, Jio also came up with irresistible offers to recharge the phone thereof. The welcome offer has been converted into the Preview offer from now, which means the user will be allocated only 4GB of data as daily cap usage. Old users who enrolled themselves during the Welcome offer will continue enjoying the unlimited benefits. However, it appears, Oneplus One/Two/X are not eligible for the SIM, but you can still try your luck. The process is same as of any other handset in the world. First, you need to download My Jio application from play store. Second, it will tell you to download around 10 applications from the play store, do download these apps if you want to enjoy a high success rate. Second, open the application names ‘My Jio. Keep your Mobile data active during the process. Reliance is not issuing the SIM cards to the users browsing the app using WiFi. Third, you will be redirected to the welcome screen, click on ‘Get Jio SIM’ on the screen. This option might not be visible for many people. You are required to diagnose the problem yourself by checking whether you had installed all other apps and make sure Mobile data is turned on. Share your important contact details. Enter First name, Last Name and existing mobile number for mobile number verification. Enter the verification code received on your handset. Turn on your Location or enter the location manually by selecting from the drop down menu. This step will also help in detecting the nearest Digital store. 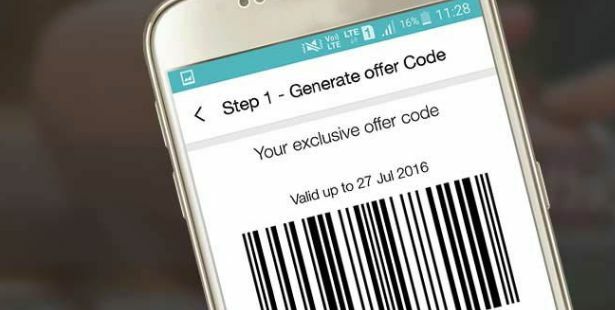 Now generate the coupon, a screenshot will be automatically saved to your device, but it’s better to take a screenshot for future usage. You got the coupon code, and now you need to take a print out of that screen and attach it here with the form you will obtain from Digital store. Check the documents required in the next step; this step will tell you the documents accepted as ID proof. Aadhar card is accepted as a proof of identity and proof of address as well, but the photo should be clear on it. Go with the original and duplicate proof of identity with 2 photos to the nearest Jio store and collect your 4G SIM card for free.